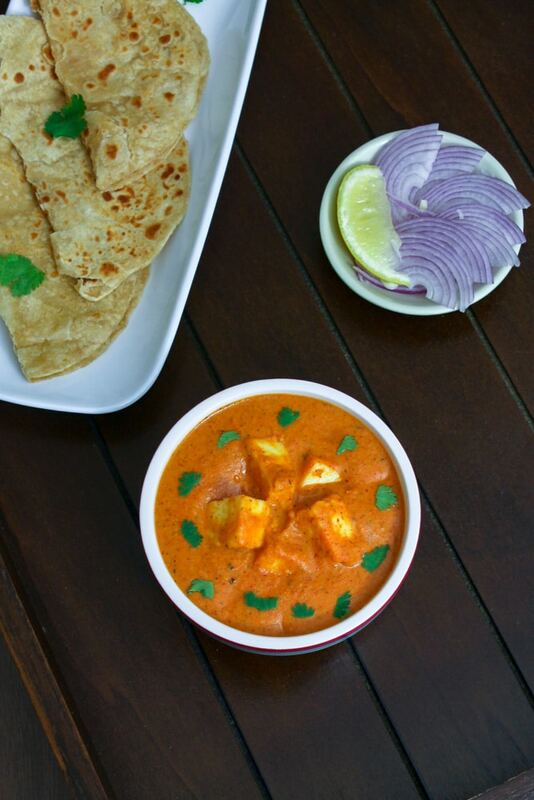 Do you want to make Restaurant style paneer butter masala at home? YES PLEASE !!! and yes, it came out incredibly delicious + creamy, buttery. I bet you can’t stop eating it. So next time when you have guests over or want to wow your loved ones, make this butter paneer recipe. What is Paneer Butter Masala? 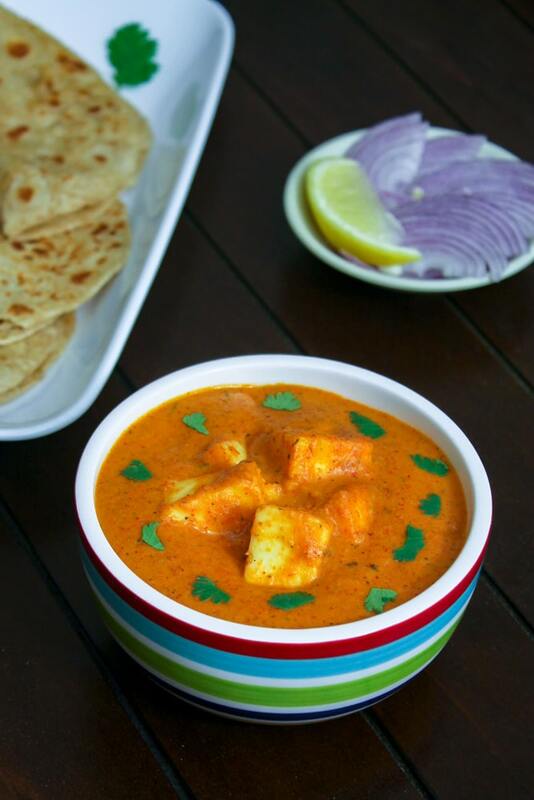 Paneer butter masala aka Butter paneer is delicious, creamy, rich, buttery, spicy and vibrant looking onion-tomato gravy with soft, succulent paneer (Indian cottage cheese) cubes in it. This is the most popular, demanding paneer recipe served in Indian restaurants. Recreating popular restaurant-style Punjabi dishes at home is my second obsession after eggless baking. Other than this I have already shared palak paneer, Shahi paneer, kadai paneer, dum aloo, khoya kaju, paneer lababdar, veg handi and many more. I will keep sharing rest until I make all of them. Before making this kind of dishes I refer cookbooks, Sanjeevji’s and Tarlaji’s website and I come up with the recipe or ingredients proportion which suits my taste. I do make them a couple of time, after making required changes I share it here. And trust me all of them tastes fantastic and delicious. Heat 2 teaspoons of oil in a pan on medium heat. Once hot add chopped onions, sprinkle some salt to speed up the process. Cook till onions are translucent and light brown in color. Add cashew nuts and saute for 2 minutes or till it is roasted and browned. Add chopped tomatoes and mix well. Cook till tomatoes are soft. Add turmeric powder, coriander powder, and red chili powder. Mix well and cook for a minute. Turn off the stove, let it cool down a bit and make smooth paste into blender or grinder. Now wipe out the pan using a paper napkin to clean it. In the same pan heat the butter and oil on medium heat. Add whole spices (cinnamon, cloves, cardamom and bay leaf). Saute for a minute or till you get a nice aroma of spices. Add ginger and garlic paste. Cook for a minute or till the raw smell goes away. Add prepared onion-tomato paste and add remaining salt. Cook till all the moisture evaporates and it becomes like a thick paste. Do stir to make sure that it is not sticking to the bottom of the pan. Add Kashmiri red chili powder for color and green cardamom powder. In the photo, it looks a lot, but trust me Kashmiri chili powder is not spicy at all and it gives nice red color. Then add water to make a gravy consistency. Let it come to a boil and simmer for 3-4 minutes on low-medium heat. Add kasoori methi. Do crush between your palm before adding, so it releases its flavor. Stir well. Add paneer cubes and mix gently. Stir and let it simmer for 2 minutes, so paneer gets heat up. Paneer butter masala is ready to serve. Garnish it with coriander leaves. The look and taste of the dish are the same as the restaurant one. There is another similar curry recipe on the blog – kaju butter masala. Do you own instant pot and want to make this butter paneer quicker yet delicious? 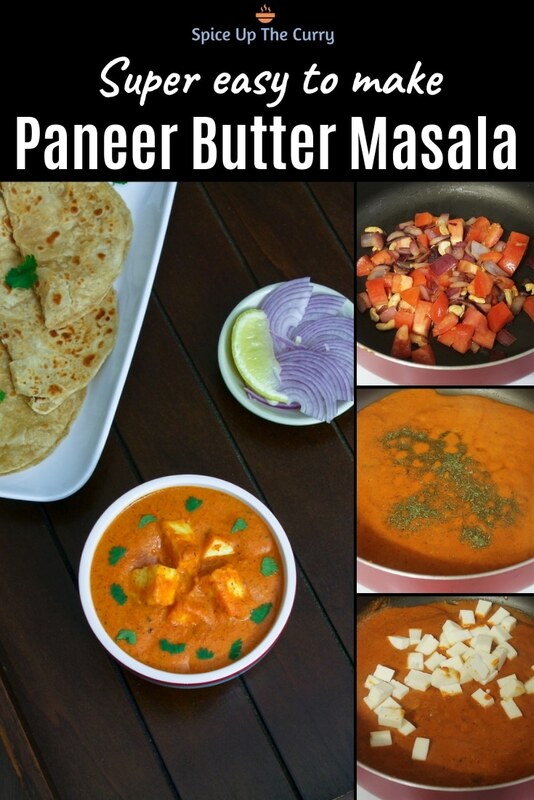 Try my instant pot paneer butter masala recipe. What to serve with paneer butter masala? It tastes best with garlic naan (or plain naan) or tandoori roti. It can be served with jeera rice too. I would like to have some onion slices w/ lemon wedges on the side. It is a good idea to serve chaas or salted lassi on the side to soothe your palate from the spicy taste of the gravy. 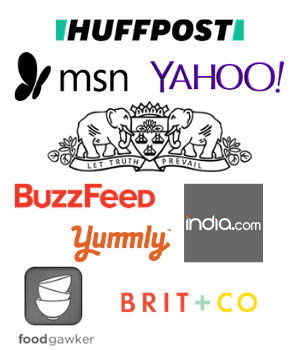 What cream to use in paneer butter masala? I always use heavy whipping cream (which has 35-40% fat content) that I buy from American grocery stores. In India, my mom uses the Amul fresh cream and it gives a good result. Or you can use malai that is collected from the top of the boiled milk. If using that then just add a splash of milk in malai and whisk it till smooth and runny, then add in the recipe. Why I don’t get the red color gravy just like the restaurant? Because they add food color in the gravy. As I do not prefer using synthetic food colors in my cooking, I have taken the natural route. To get the bright red color, I have used Kashmiri red chili powder which is not much spicy in taste yet gives beautiful red color. Make this restaurant style paneer butter masala recipe at home and wow your guests or family members. The gravy is so smooth, creamy, buttery and spicy that you won’t stop eating it. Heat 2 teaspoons of oil in a pan on medium heat. Once hot add chopped onions, sprinkle some salt and cook till onions are soft and translucent. Add cashew nuts and saute for 2 minutes. Mix in chopped tomatoes and cook till they are soft. Mix in turmeric powder, coriander powder and red chili powder and cook for a minute. Turn off the stove, let it cool down a bit and make smooth paste into blender or grinder. In the same pan heat the butter and oil on medium heat. Add whole spices. Saute for a minute or till you get nice aroma of spices. Next saute ginger and garlic paste for a minute or till the raw smell goes away. Now add prepared onion-tomato paste and add remaining salt. Cook till all the moisture evaporates and it becomes like a thick paste. Do stir to make sure that it is not sticking to the bottom of the pan. Add kashmiri red chili powder for color and green cardamom powder. Mix well and cook for a minute. Then add water to make gravy consistency and simmer for 3-4 minutes. Add kasoori methi, paneer cubes and mix. Lastly add cream, mix and let it simmer for 2 minutes. I made this at a get together and it was a big hit! I would recommend this to everyone. I have a family member that is allergic to nuts, so I substituted sunflower and pumpkin seeds instead of the cashew. I love this website! Thank you for the detailed feedback. I can never say no to paneer butter masala, it’s my all time favorite. Thanks for the recipe. Will try it. How come you have this recipe a tad different from your other gravy recipes where you cook onions tomatoes in little water for 15 minutes? just want to understand!! No specific reason. Just to have different taste for every gravy. If cook onion-tomato same way in all recipes then it will taste same.